Near Yosemite and Tuolumne River rafting. Pet-friendly and charming with luxurious featherbeds, this fully-restored 18-room historic inn offers European antiques and fine linens. Private baths, toiletries, TVs, full breakfast for two and Free WiFi are standard amenities. Each of the three suites has a spa tub and fireplace. Activities: Yosemite, Tuolumne River whitewater rafting, hiking, biking, golf, fishing, swimming, skiing, photography, off-road exploring, tennis, snow shoeing, ice skating. 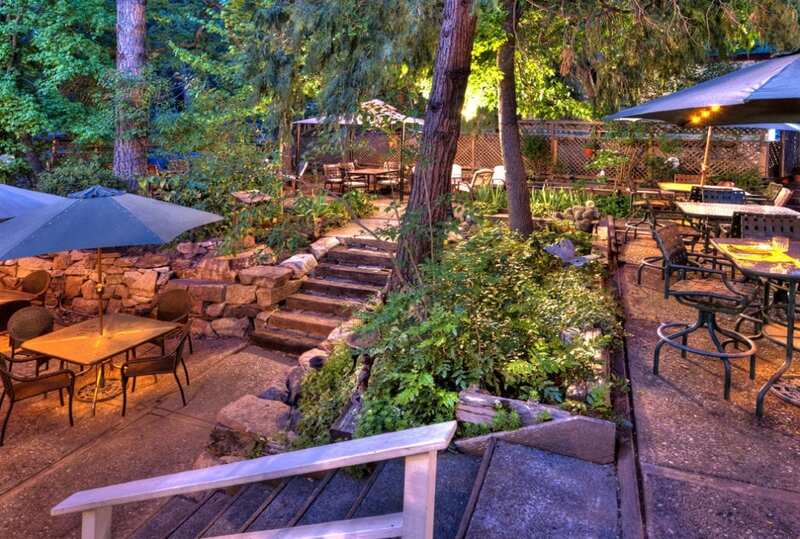 The onsite Yosemite Courtyard Cabaret presents live summer entertainment, and there are more intimate live shows inside the Cellar Door dining room during the winter as well. 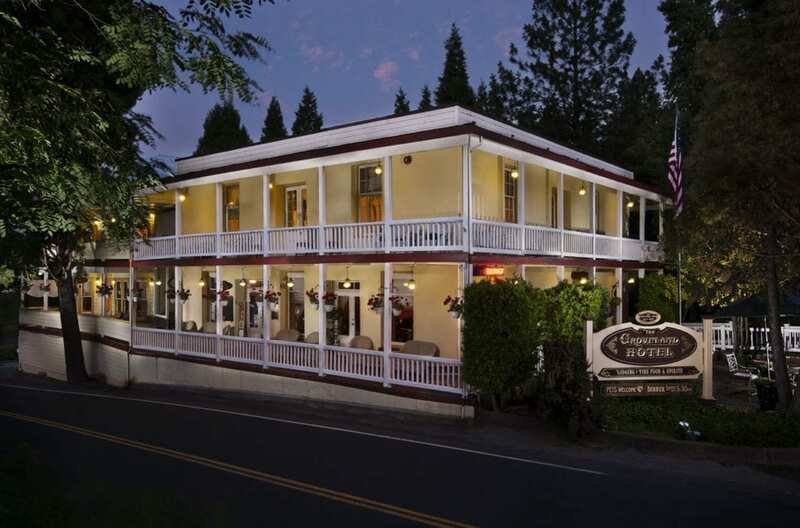 While there are many experiences and adventures to explore while staying at The Groveland Hotel, we invite you to take advantage of Wine Tasting in the Tuolumne County! Ask about visiting La Bella Rosa Vineyards, Angles Flight Winery or Gianelli Vineyards during your next stay at the Groveland Hotel. Rated a “Top Ten Inn” in the US by Sunset Magazine’s “West’s Best”. Retreats. Weddings. Live Summer Entertainment.